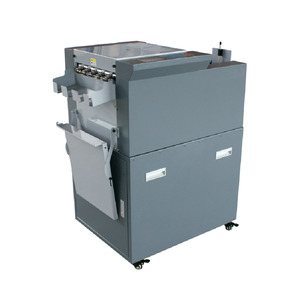 Max feeding width: 800mm Roller distance: 26-30mm Suitable for paper or paperboard: 80-500gsm This small platen die cutter is very popular among our America clients, Middle East clients, Europe clients, Trade Assurance payment on Alibaba will enjoy bottom price ! 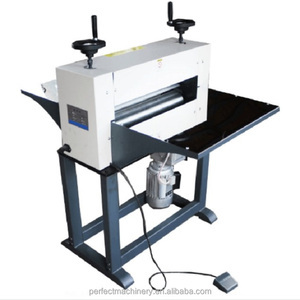 Leather cardboard box processing manual platen die cutter PFK-1400 Flat bed die cutter machine is special designed for creasing and cutting of various kinds of paper, cardboard,leather and plastic articles. 5. Special for the machines: single wall corrugated paper making machine, cartons slotting die cutting and flexo printing machine, corrugated cartons stitching and gluing machine; 3 layer, 5 layer, 7 layer corrugated cardboard production lines, tissue toilet paper production lines. 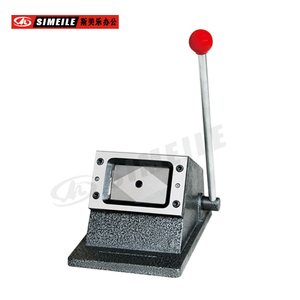 13 YRS Yongjia Simeile Office Equipment Co., Ltd.
As an ideal tool of cutting all kinds of photos, it is convenient to carry and proves efficiency. &bull; Please check the size you want in the specification form before you place an order. 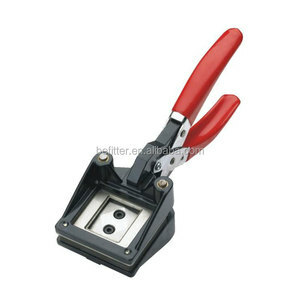 &bull; There are many sizes of the cutter, but one cutter with one size and it can not adjustable. The machine could cut a variety of cards, photos and other printed materials. 2. During warranty, we provide free normal spare parts once machine has probem. Ruicai Expect a long term cooperation with all customers, not one time business. 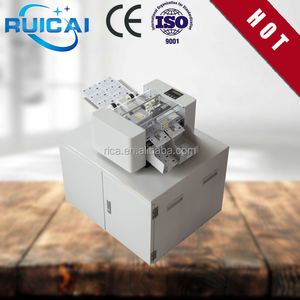 1 YRS Hubei Zhuozhan Technology Co., Ltd.
12 YRS Taizhou Hongjie Industrial Trade Co., Ltd.
12 YRS Hefei Kaxing Digital Control Equipment Co., Ltd.
Moulds: Features: 1. Adopt hydraulic drive system, make the die cut process easy and stable. 3. 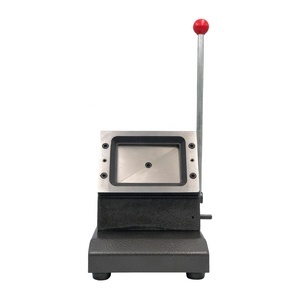 Use counter pressure device ensure that no movement occurs during die cutting. 1. Adopt counterpressure device to ensure that there &rsquo; s no movement during the die cutting process, make the die cut process precise and stable. Shenzhen Colorsun Digital Technology Company is a Professional Manufacturers and trading Our company has more than 10years expertise and 6 year Alibaba expertise . We are specialized in manufacturing flatbed printer (UV Printer /Eco Solvent Printer/Food Printer) , Automatic cd/dvd printer, sublimation heat press machine, and the consumables etc. We take the top-grade product, top-grade service, top-grade price as the principle, which has received much positive feedback around the world so far. 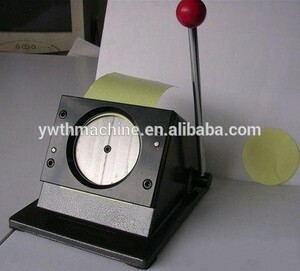 Alibaba.com offers 2,534 card die cutter products. About 24% of these are paper processing machinery, 1% are other hand tools, and 1% are carton printing slotting die-cutting machine. 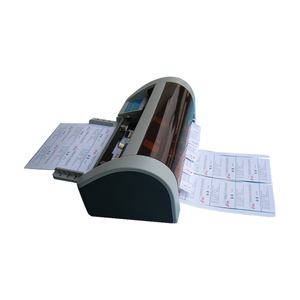 A wide variety of card die cutter options are available to you, such as die-cutting machine, paper cutting machine, and punching machine. You can also choose from no, yes. As well as from free samples, paid samples. There are 2,534 card die cutter suppliers, mainly located in Asia. 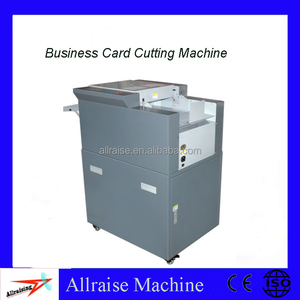 The top supplying country is China (Mainland), which supply 100% of card die cutter respectively. 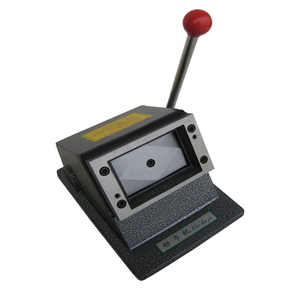 Card die cutter products are most popular in Domestic Market, North America, and Southeast Asia. You can ensure product safety by selecting from certified suppliers, including 515 with ISO9001, 338 with Other, and 93 with BSCI certification.